Meals Ready to Eat MRE - 12-Pack | BUDK.com - Knives & Swords At The Lowest Prices! 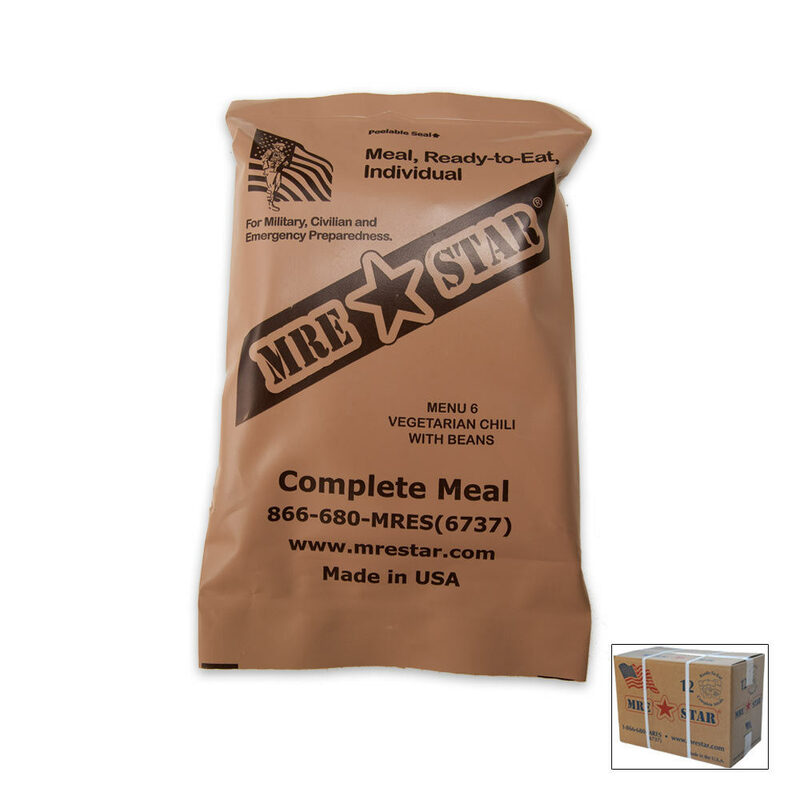 MRE (Meals Ready to Eat) means all the contents are fully cooked and can be eaten hot or cold. Each MRE has an average of 1,100-1,300 calories, which replicates the calorie count of a complete meal. There is no need to add water to an MRE. Simply open the pouch and enjoy! MREs are perfect for any outdoor use and/or emergency situation. Their aluminum thermostabilized pouches provide a long shelf life without refrigeration (8-year shelf life when stored at 70 degrees Fahrenheit). Heater not included. Loved them when i served in the US Air Force, still love them today. Even at full price here its cheaper than other places I have got them at. I to also wait for the 25% off discount codes, which makes them affordable. I try to buy 1 to 2 case per month. My boys and I love these. They taste great. it is a full meal unlike the dehydrated stuff. we eat them all the time when we are hunting or camping. I waited for a good discount code then ordered. I tried the beef stew. It came with crackers, cookies and drink mix. Really not bad at all. I hope the other meals are as good. And the code date on the box was very recent within a few months. I would order these again with a good discount code. I only gave it 4 stars because I had to order heaters separate.